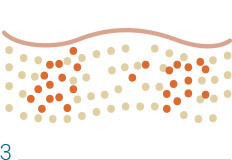 What is HIFU: It is an ultrasound technology able to deliver acoustic waves via 7 calibrated cartridges to precise depth in the skin and trigger collagen formation, muscular contraction and fat destruction. 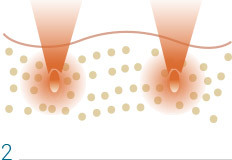 During the procedure the epidermis is not affected. 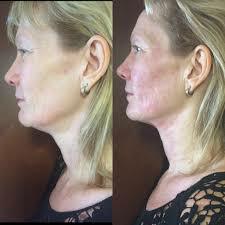 There is skin tightening and lifting over time (3-6 months) without any downtime. While the procedure is not a facelift, it is very popular for people not ready for the knife or wishing prevent skin sagging. People treated with this technology have reported a high degree of satisfaction. 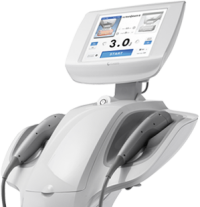 Comparable to utilizing sunlight and reflecting it through a magnifying glass to deliver a beam, the ULTRAFORMER III treatment delivers ultrasound energy into the target region of the skin, stimulating and formulating collagen regeneration. Pain Level: very tolerable and only lasting few seconds. We recommend taking Panadol one hour before procedure. 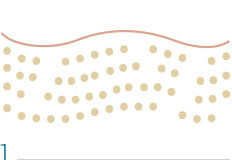 Topical anaesthetic cream is available although most people do not need it. Happy gas and nice music do the trick in most cases. 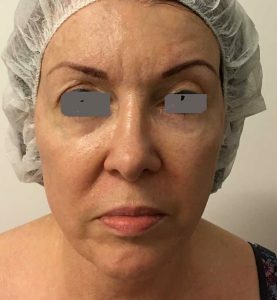 Results: visible immediately but significant skin improvements are most visible after 3 months. Most patients require 1 treatment although sometimes 2 treatments are required for better results. For long term maintenance 6-12 monthly treatments are recommended. 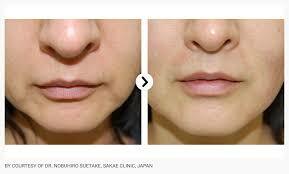 Best Indications: Skin tightening of neck, face, jaw line, peri-oral and peri-orbital areas, brow lift, and cheeks. 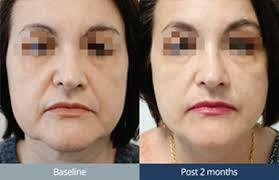 In fact anybody who has lost some degree of firmness can benefit greatly from the gentle lifting and tightening effects of HIFU. It is also great to help smooth out certain fine lines and wrinkles. HIFU is helpful to maintain the results of other cosmetic procedures or prevent the natural ageing process..
Ultrasound skin tightening is a safe procedure: has been TGA approved and used in medicine for over 50 years with excellent results and safety profile. 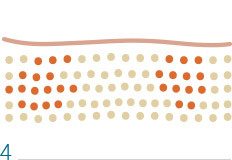 Number of treatments: depends on how much laxity people have and their body’s own biological response to the ultrasound and the collagen -building process. However, the majority of patients only need one treatment with 6 monthly to one year maintenance treatment. 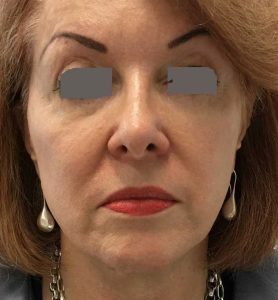 Good candidates: anybody with skin that looks or feel less firm, lowered eyebrow line or sagging skin on the eyelids, loose skin under the neck or chin. There also are younger people who want to stay ahead of the game. Side effects: most people will experience no side effects whereas some people will have minor swelling and discomfort around the treatment areas for 1-3 days. A mild painkiller will solve the problem and social/work life will not be affected.